Upgrading or Installing Lighting in Gallatin, Tennessee? Known as the contractor to call for lighting in Gallatin, Tennessee, Barnes Electric Service has been servicing the local area since 1995. Our installers have worked in countless homes and businesses across the region, providing lighting design and installation both indoors and out. Our experienced electricians are trained in local building codes. Working in Gallatin for years, Barnes Electric Service technicians have completed outdoor lighting projects, as well as indoor lighting design and installation. Our staff must maintain up to date skills and Barnes Electric Service provides fully licensed services for lighting projects of any size and serve both residential and commercial customers. Barnes Electric Service deals with the leading lighting manufacturers, offering Gallatin customers the best and latest technology, fixtures and controls. Combine quality materials with expert installation and your Gallatin lighting project will be well taken care of by Barnes Electric Service’s professional staff. 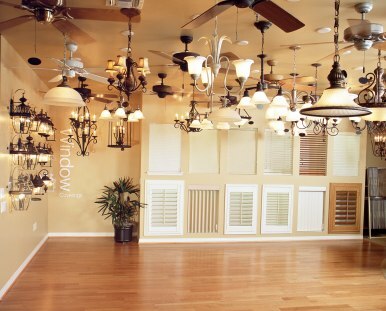 From modern ceiling fans and light fixtures to the latest track lighting and recessed lights, Barnes Electric Service offers high quality materials in both classic and modern styles. Lighting design and installation projects move forward efficiently with Barnes Electric Service at the helm. Gallatin residents can rely on prompt service from the estimate stage, straight through to the installation and final inspection. Barnes Electric Service electricians aim to create trust with every Gallatin customer, keeping their word and doing a careful job every time. Customers that are planning to install lighting in your Gallatin, Tennessee home, office, or facility, you can trust the experience and reliability of Barnes Electric Service. For high quality materials and professional technicians, call Barnes Electric Service at (615) 559-0181 to arrange for your free quote. "James was very easy to work with.Showed up when he said he would and went right to work figuring out my problem.Give me a price and explained what needed to be done.When i asked when he could do the work even though it was late he went right to work on it.I will use him again." 5★★★★★ - "Barnes is the best experience in solving electrical problems. Their rating is a 10 because of their knowledge, professionalism, fee structure and fast service. I highly recommend them." 5 ★★★★★ - "All the reviews are true, great, fast service! Very pleased! Reviewed GFI panel, and circuit board in a hot tub, finding bad circuit board in tub. Found problem in minutes, two days before, service rep. for spa store couldn't find the problem after an hour!" 5 ★★★★★ - "Reliable, dependable and reasonably priced. !! Great work!!" "So glad to have found James Barnes, he is the absolute best! We've been using James for over 3 years as our electrician. He has performed many types of regular sized jobs for us such as installing electrical outlets, bathroom fans, recessed lighting, etc. He has also performed huge jobs for us such as moving our fuse box to a better location and converting it into a safe breaker box with a surge protector. James is honest, experienced, and always has our safety in mind. When we call James for estimates, he always comes out on the same day and gets started on the work either on the same day or the very next morning. We won't use any other electrician." "We Should've called Barnes First! We had a few light switches that were not working as a result of a bathroom remodel we'd done ourselves. We called one company who trouble shot for an hour and couldn't fix it, then gave us the run around about coming back. On the second day we called Barnes. They called before they came, they showed up earlier than they promised on a Saturday, wore booties inside our home and found the problem in less than 5 minutes! They also checked for problems we weren't even aware we might have, and changed outside floodlights for us. They already had the bulbs we needed in their van. Very Friendly, Very Prompt, Very knowledgeable. I would recommend them for any electrical repairs!" "Fast friendly professional. Would not hesitate to use again if needing an electrician." "Excellent work and service. I would highly recommend Barnes Electrical to anyone needing home electrical work done." "I was very satisfied with James. He did a great job, was very professional, and was reasonably priced." "Good work and hopefully a long term relationship." "Great referral. Had 4 calls with follow up calls and had my problem fixed." "I've never had such a high level of professionalism from a contractor before as we did with James Barnes and his associate. I would and have already recommended him to others." "Mr. Barnes actually listened to me as I explained the situation, didn't talk down to me in his response & then provided me a written quote before starting the job. Additionally, he was in uniform with shoe covers when he entered my home. This is VERY different from any other electrician I have ever hired. I strongly recommend Barnes Electric." "James Barnes and his crew were polite and professional. Within 15 minutes of assessing the electrical system in my home James told me how much he would charge for the job. I agreed and they completed the job within 30 minutes. I appreciate that I paid by the job, not the hour. And they did not try to convince me I needed more work done. I would definitely call Barnes Electric again and recommend them to friends and family."